Purchasing this item will earn you 239 reward points (Loyalty points $2.39) ! 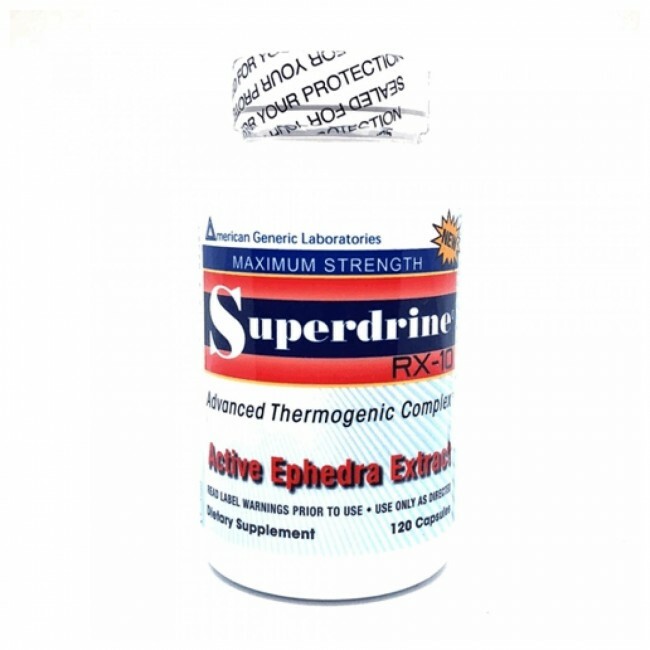 American Generic Labs Superdrine RX 10 With Ephedra Extract 120 Capsules is the most effective and best Ephedra based fat burner you will ever need with a powerful 20mg of active ephedra extract in each super charged capsule. Superdrine RX 10 With Ephedra harnesses the power that will help you create the best you possible, using a unique combination of Ephedra Extract, Guarana extract, White Willow Bark and Bitter Orange (Synephrine). In addition, Superdrine RX 10 Ephedra combines the power of 5000 year old traditional medicine, the newest super-fruits, and the most medically tested weight loss supplement ever to control your appetite, give you energy, and turn your body into a metabolic furnace. If you liked Xenadrine RFA-1 you’ll love Superdrine RX-10. Superdrine contains the same key ingredients in Xenadrine RFA-1. 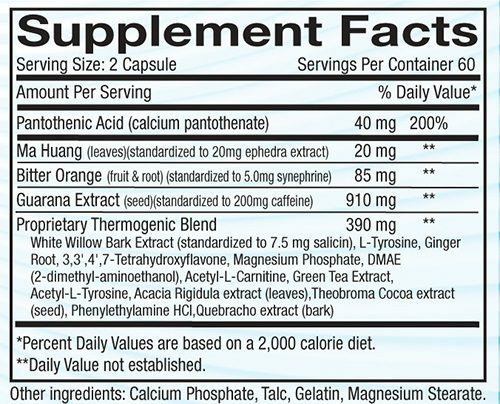 When it comes to Over the Counter weight loss stimulants, nothing works like Ephedra Extract. It has been studied by the scientific community relentlessly, and the one constant result is that Ephedra extract helps people lose weight. From the first time you take it you'll see the proof of its effectiveness. By increasing your body temperature, Ephedra extract Thermogenically increases your metabolism, causing you to burn calories all day long as if you were exercising! Whether you're trying to get rid of the last few pounds, or have had no luck with yo-yo dieting and fad pills, will help you break through your plateau. And by suppressing your appetite, it means that while you're burning more calories than ever before, you will be eating less, without hunger and frustration. Of course, for the busy person, one of the biggest problems with dieting is the lack of energy and focus. You need to be in top form to make it through the day, and low calorie intake can turn you into a zombie. This product will give you the energy you need, making you sharper and more focused than ever before. 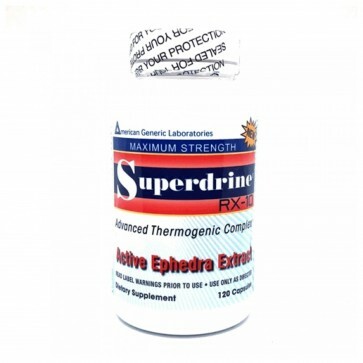 Superdrine RX-10 With Ephedra Extract also has a 100% Satisfaction Guaranteed! If you are tired of wasting money, time and energy, you need to buy Superdrine RX-10 With Ephedra Extract by American Generic Laboratories today. Awesome Product. Helps my asthma. Gives me energy, maintains my stamina during long work days.